No trip to Toronto is complete without a visit to the Royal Ontario Museum, Canada’s largest museum of art, culture, and nature. Explore stunning galleries of dinosaurs, Canada’s First Peoples, ancient Egypt, minerals and gems, and more. 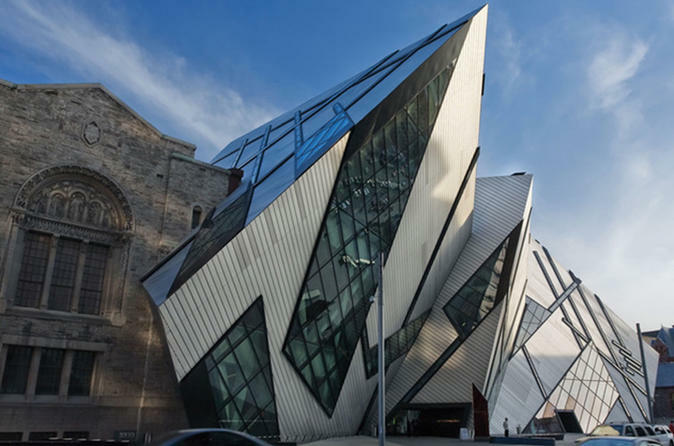 With world-class shopping and dining and breathtaking architecture, the ROM is your gateway to the world. Choose between General Admission ticket or General Admission plus Spiders exhibit or General Admission plus Fashion exhibit ticket options when you book. You can upgrade to General Admission & Spiders exhibit ticket. Get up close and personal with one of the world’s most misunderstood creatures. See the exhibit on display until January 6, 2019. You can upgrade to General Admission & Fashion exhibit ticket. The exhibition explores the extraordinary designs of Dutch couturier, Iris van Herpen, through her 2008-2015 collections that push the boundaries of traditional fashion and craftsmanship. See the exhibit on display until October 8, 2018.